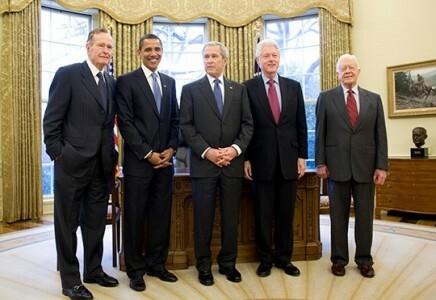 Do you still have a historical notion that U.S. presidents should have a public service background? Do you believe it’s best for America if our presidents have a rigid and predictable career progression from local and state politics to national service as a U.S. senator? After all, many senators suspect they are only one election away from becoming the nation’s chief executive. But has it always been that way? Has our recent experience proven that what we tell children about becoming president one day is not just nice talk after all? One must be 35 years of age, a resident ‘within the United States’ for 14 years, and a ‘natural born citizen.’ It’s interesting to note that we have yet to define and codify what a natural-born citizen is. I believe, however that it will soon be undertaken as a national task rather than let it fester until the 2020 elections. Money: The unofficial necessities of a presidential run may include having a personal fortune large enough to sustain the costs of marketing oneself through the preparatory stages of an exploratory campaign. Then comes the phenomenal costs of a primary campaign, followed by a final campaign to the general elections. Popular support (and popular vote): One needs to be the peoples’ favorite to advance through the ranks and eclipse other candidates. Therefore, you have to be a great debater, an accomplished speaker and a ‘have a beer with’ type of personality. We like our candidates to be approachable, full of friendliness and optimism. Be the communicator-in-chief: The New Americanism calls for the president to connect often and consistently with ‘We, the People’ and our representatives. President Obama has done an excellent job at reaching the average citizen, but we need those same skills in effective communication with legislators – for the good of our republic. Be the cheerleader-in-chief: We already have enough analysts, media pundits and talking heads to tell us what’s wrong with this country. We don’t need our president to jump on that bandwagon. Instead, the president needs to be the optimist and remind us often about how lucky we are to enjoy life in this great nation. When national tragedies occur, the president should be the one to point out the light at the end of the tunnel and tell us that it’s not a train heading in our direction. The president should never descend to the local level of analysis in a dispute or take sides, other than to hold up a national principle or value for us to emulate. Be the president of all of us: The president needs to accentuate American principles and values and uphold the rule of law. The president can’t be overly partisan or even suggest that one political party has some type of strangle-hold on the truth. Rather, the president needs to emphasize compromise to be able to move forward. This is true because if politicians insist on an “all or nothing” approach to legislation, then we will have nothing. The president needs to lead in that way, showing Congress that working together to pass laws is far more preferable than working against each other to preserve paralysis. The New Americanism principle of unity, is therefore an unwavering requirement of national leadership. If we are a populist nation that disparages aristocratic notions, then we need to bring about changes in the way that we propose and select candidates for our parties to place on the national stage. We don’t want to only choose from people of privilege. We want any and all Americans who are interested in the job to have an equal shot at it. That’s why the current primary process needs a massive revision so as to allow anyone to compete for the highest office in the land. I don’t have the answers to offer. But I do have many of the questions that we should ask together to get the change process going. The New Americanism demands it. Author: Bob Brescia serves as the executive director of the John Ben Shepperd Public Leadership Institute in Odessa, Texas. He has a doctoral degree with distinction in executive leadership from The George Washington University. His experience includes top leadership team roles in education, business, government and defense sectors. Bob’s passion is to speak and write about the New Americanism. Please contact him at [email protected] or Twitter: @Robert_Brescia.